Located at 365 m altitude, Val-Suzon is at the gates of Dijon in the canton of Saint Seine l’Abbaye. It is a commune of 1 800 ha with a population of 230 inhabitants. Its habitat is located in the very gorges of Suzon. 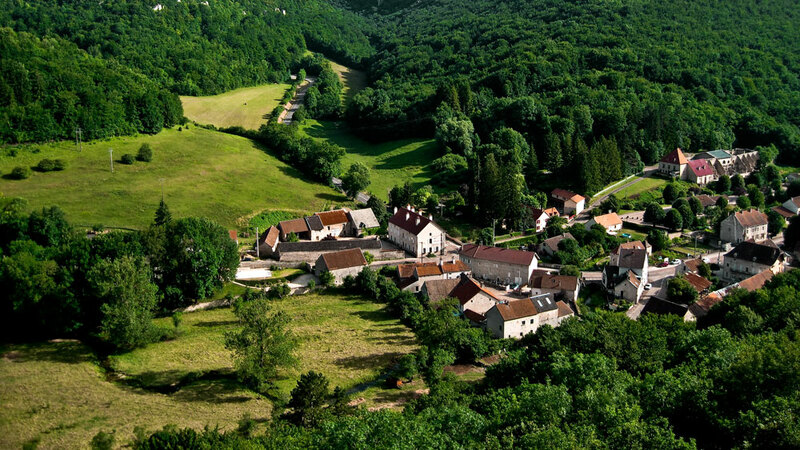 The classified site of Val-Suzon is a place to stay dreamed to discover the natural beauties that surround it. From the paths of great hikes, you will linger on the beautiful points of view, including following the GR2 which joins the GR7 in the hamlet of Sainte Foy. 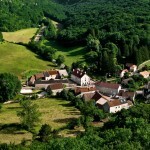 Val Suzon is one of the most picturesque landscapes of Côte-d’Or. Its river, the Suzon, meanders between limestone plateaus, sometimes sneaking into real gorges. The woody valleys are dominated by high cliffs, small hillocks and isolated peaks. Gouffres and caves dig the plateau. The site has many sources. The Iron Age barracks and spurs that dominate the valley testify to the very ancient occupation of the site. The forest, which occupies most of the site, is very diverse. Val Suzon is also a remarkable floristic site in the region. Contact zone between the Châtillonnais type “mountain” and the coast with Mediterranean influence, it offers rare species of these two types of environments. The fauna is also very interesting.